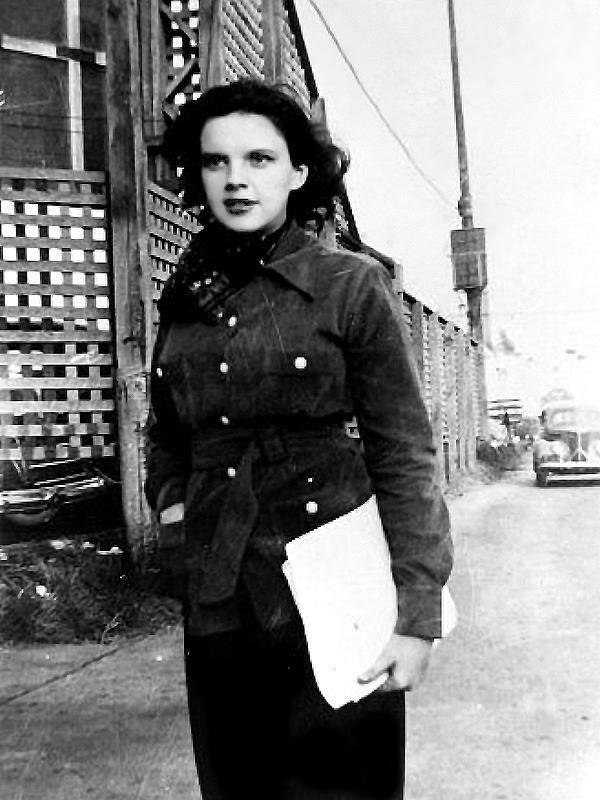 October 1, 1935: 13-year-old Judy’s very first day of work at MGM. She had just auditioned for and been signed by the studio in mid-September. Her first day was an easy one that consisted of schooling and vocal coaching by Roger Edens. It was the beginning of a life-long association (both creative and as friends) with Edens. 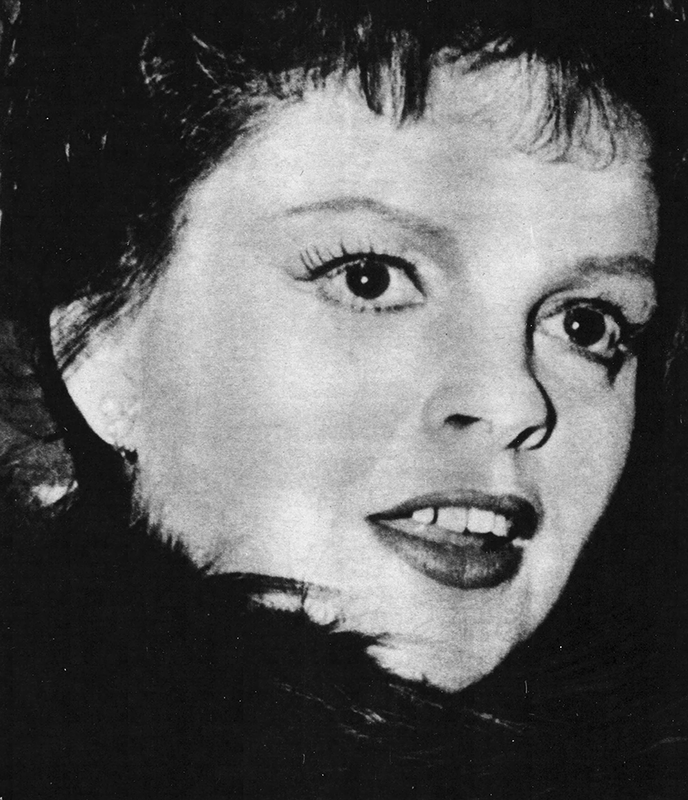 This photo was taken of Judy on her way to MGM in October 1935, possibly on this date or possibly later in the month. 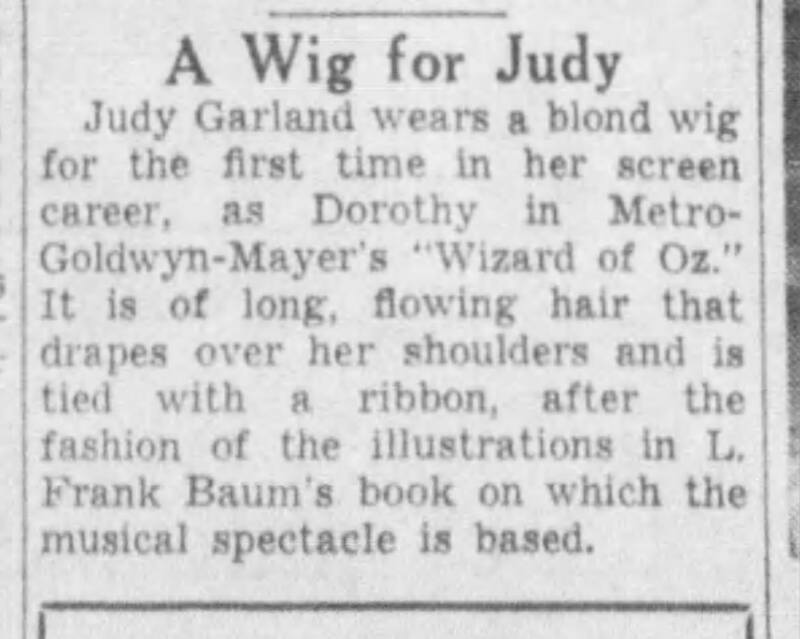 October 1, 1938: “A Wig For Judy.” This blurb talks about Judy’s blonde wig for The Wizard of Oz, Tests were still being done almost up to the day filming began on October 11, 1938. Luckily this look was abandoned. 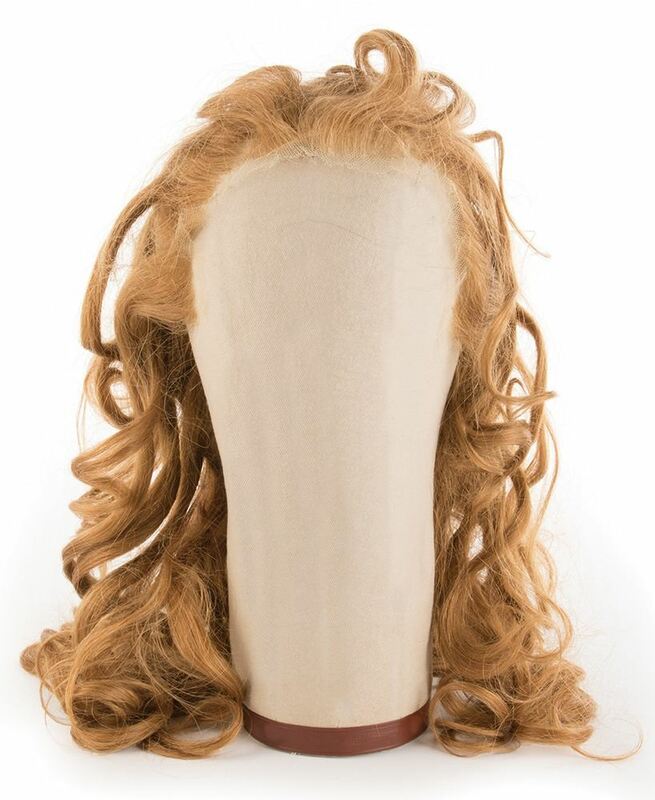 The blonde wig that Judy wore during the first few weeks of filming was sold at auction for $14,000 on August 30, 2018, as part of the “Love, Liza!” auction of many of Liza Minnelli’s personal items. 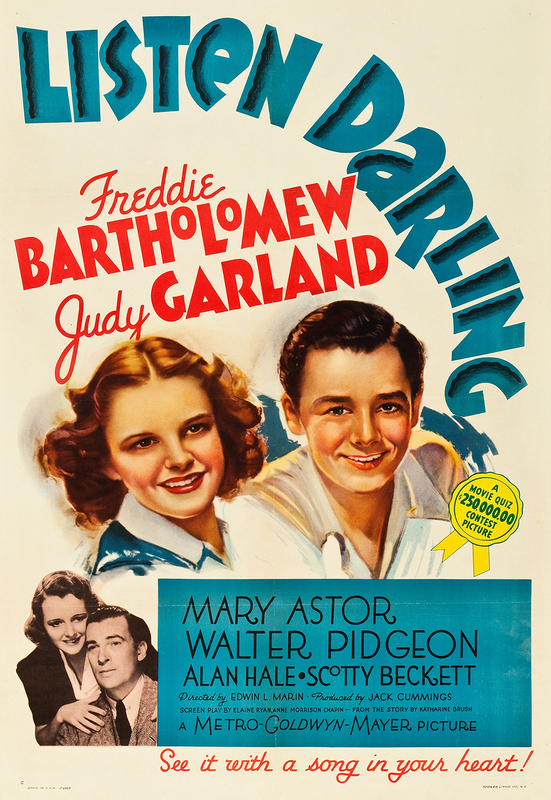 October 1, 1938: While Judy was beginning prerecording sessions forThe Wizard of Oz, her latest film, Listen Darling, was playing in theaters. October 1, 1939: This great photo was featured in the October 1939 issue of “Photoplay” magazine. October 1, 1940: After finishing looping work (dubbing) for Little Nellie Kelly, Judy entered the Cedars of Lebanon Hospital to have her tonsils removed. There was some fear that it might affect her voice but luckily that wasn’t the case. 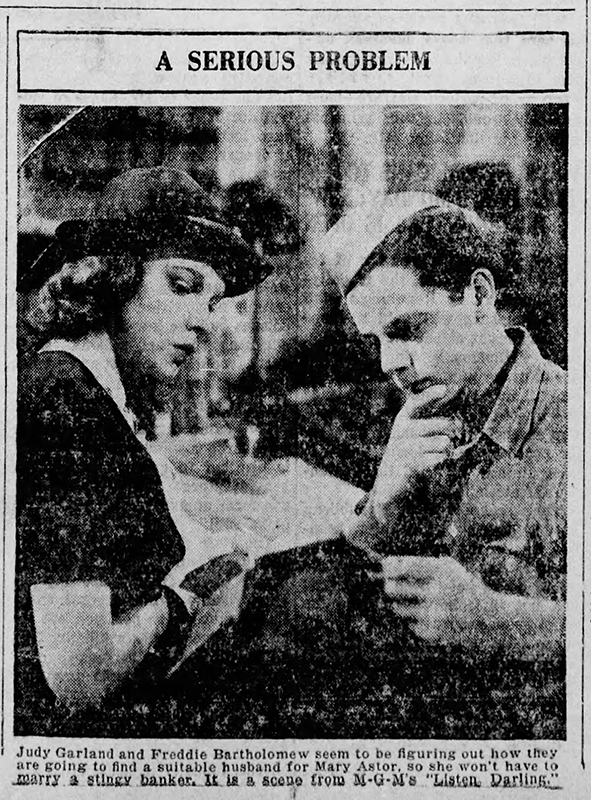 October 1, 1941: Another day of filming the extensive “Finale” sequence for Babes on Broadway. Time called: 10 a.m.; lunch: 12:30-1:30 p.m.; dismissed: 5:55 p.m.
October 1, 1944: Filming resumed on The Clock after a layoff on August 24th that was due to the removal of the film’s original director, Fred Zinnemann. 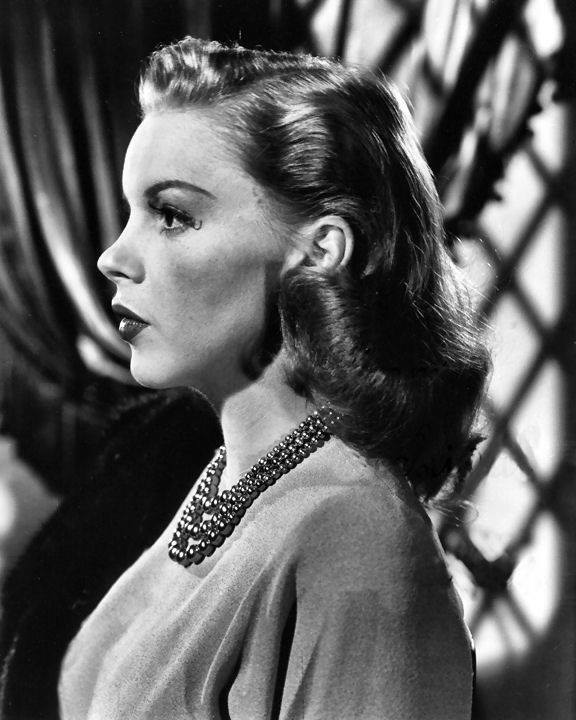 Vincente Minnelli came in as the new director. The first day’s filming included scenes shot on the “Interior Rodin’s Thinker” and “Interior French Gallery” sets. Time called: 10 a.m.; Judy arrived at 11:02 a.m. Judy was in makeup at 8:55 a.m. but they had the wrong fall for her hair, hence the delay. 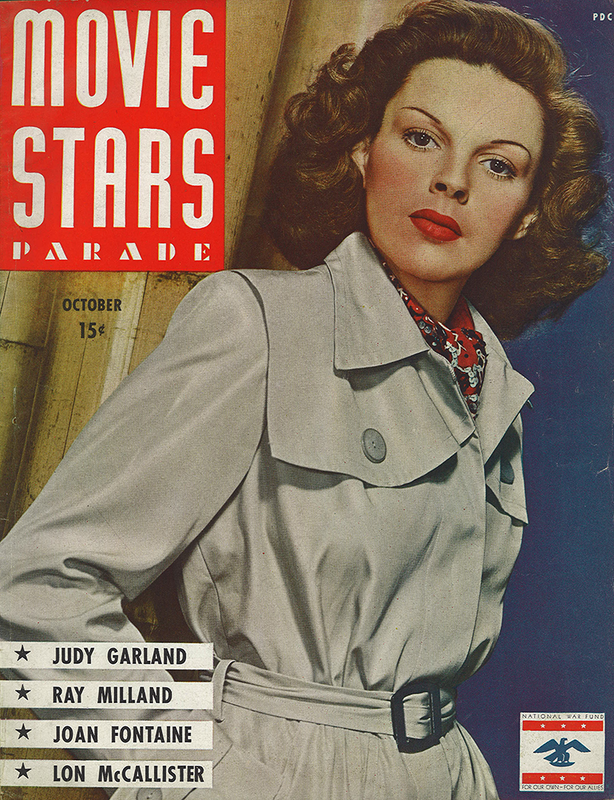 She arrived on the set at 10:53 a.m. and was ready for filming at 11:02 a.m. Time dismissed: 6:40 p.m.
October 1, 1945: Judy made a lovely cover girl for “Movie Stars Parade” fan magazine. 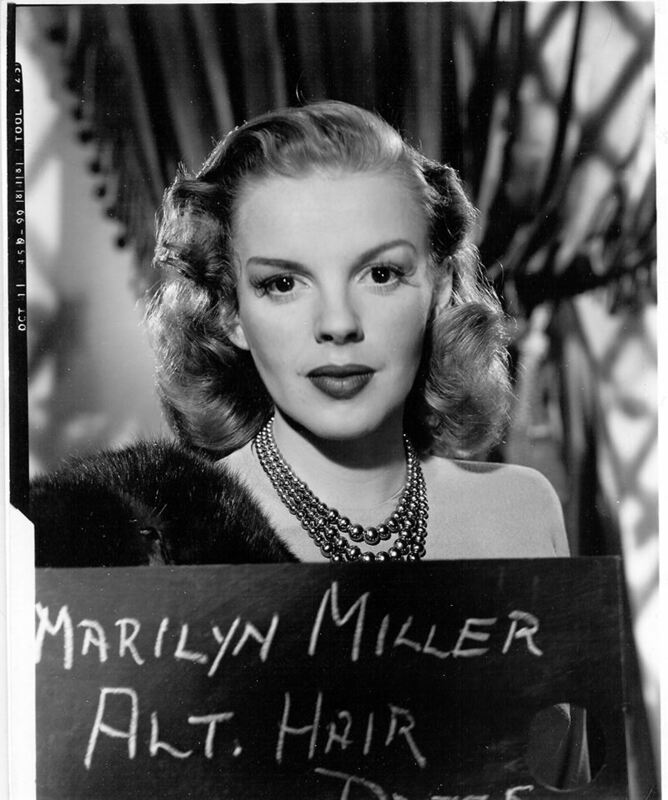 October 1, 1945: Judy posed for these tests for Till The Clouds Roll By. 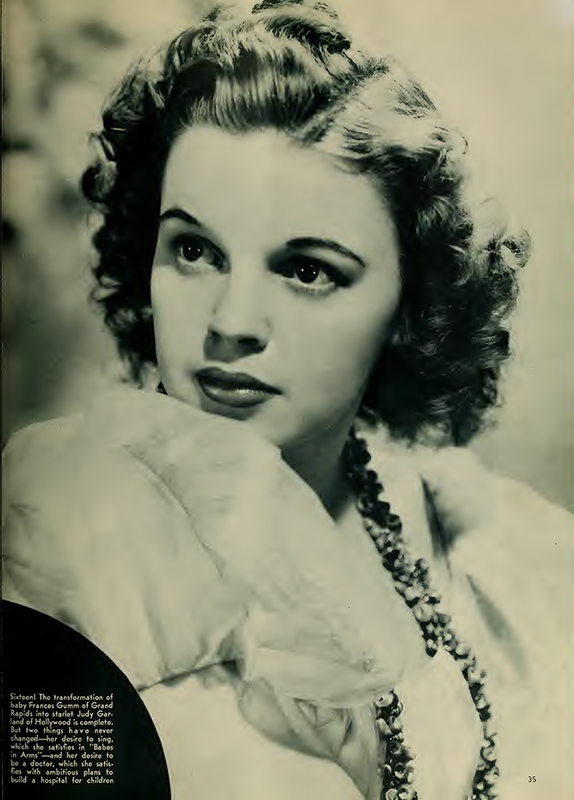 October 1, 1946: From 8 to 10:30 p.m. Judy was at the Decca Records studios in Hollywood, California. She recorded in the following order: “Don’t Tell Me That Story” and “There Is No Breeze.” The two tracks, with “Breeze” on the “A” side, were released on December 2, 1946, on Decca single #23746. 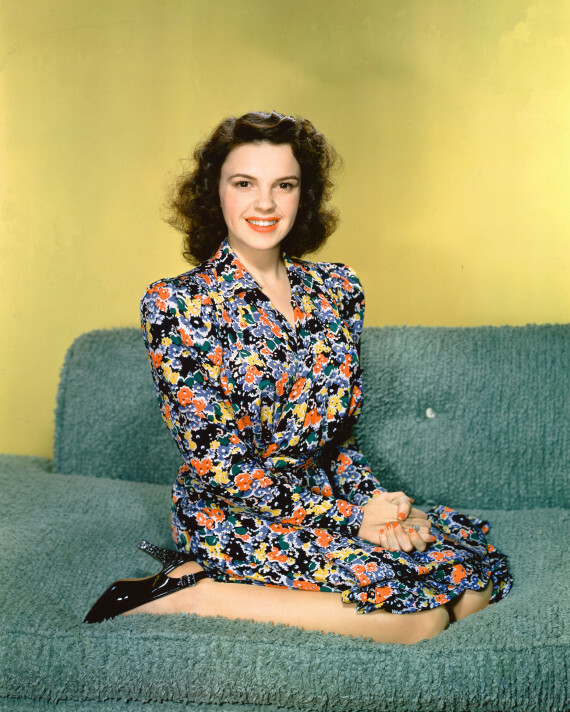 Check out The Judy Garland Online Discography’s Decca Records Section for details about all of Judy’s Decca recordings. Label image provided by Rick Smith. Thanks, Rick! 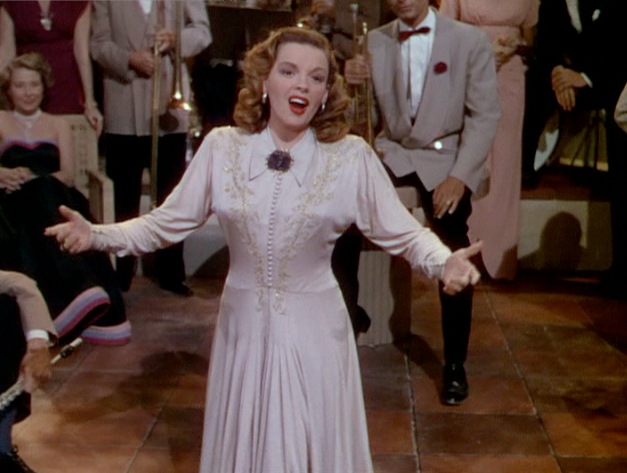 October 1, 1947: Judy had more song rehearsals of “A Couple of Swells” for Easter Parade with Gene Kelly. Time called: 2 p.m.; time arrived: 2:15 p.m.; time dismissed: 4:30 p.m. Gene was still Judy’s co-star at this point. 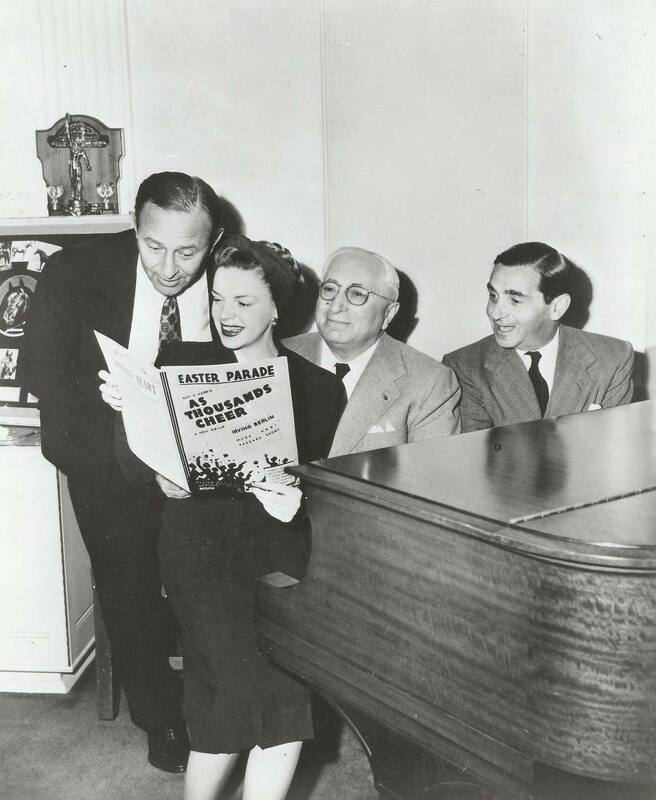 Photo: Publicity photo of Judy with producer Arthur Freed, MGM boss Louis B. Mayer, and songwriter Irving Berlin. 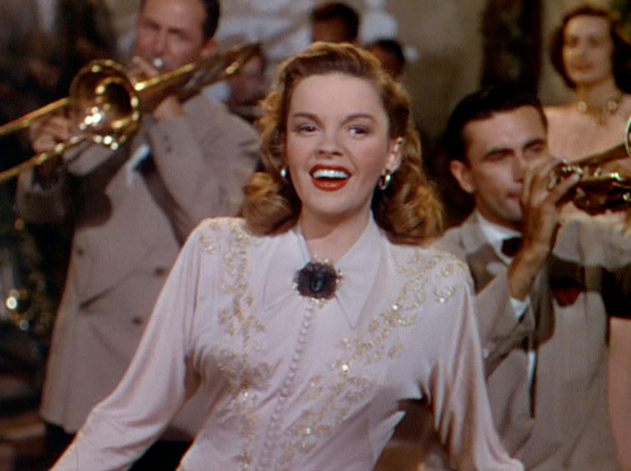 October 1, 1948: Just a day after pre-recording the song “Johnny One Note” (and performing it on the radio), Judy filmed the number as her encore performance in Words and Music. Time called: 7:30 a.m.; due on set: 9 a.m.; arrived 9:35 a.m.; dismissed: 5:20 p.m. 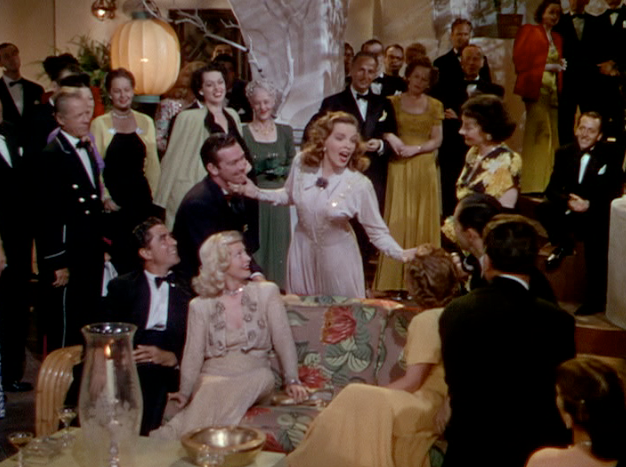 Words and Music cost $2,799,970 to make and grossed over $4,552,000 when released on December 31, 1948. October 1, 1949: Edit Gwynn’s column noted would Judy’s Annie Get Your Gun prerecordings would not be released “on wax” (records) but that MGM Records had signed Betty Hutton to record an album of singles, the implication being that she would record studio versions of the songs. Actually, Betty wasn’t signed by MGM Records, the Annie Get Your Gun soundtrack album was comprised of tracks from the film’s prerecording sessions, as were all of MGM’s soundtrack albums. 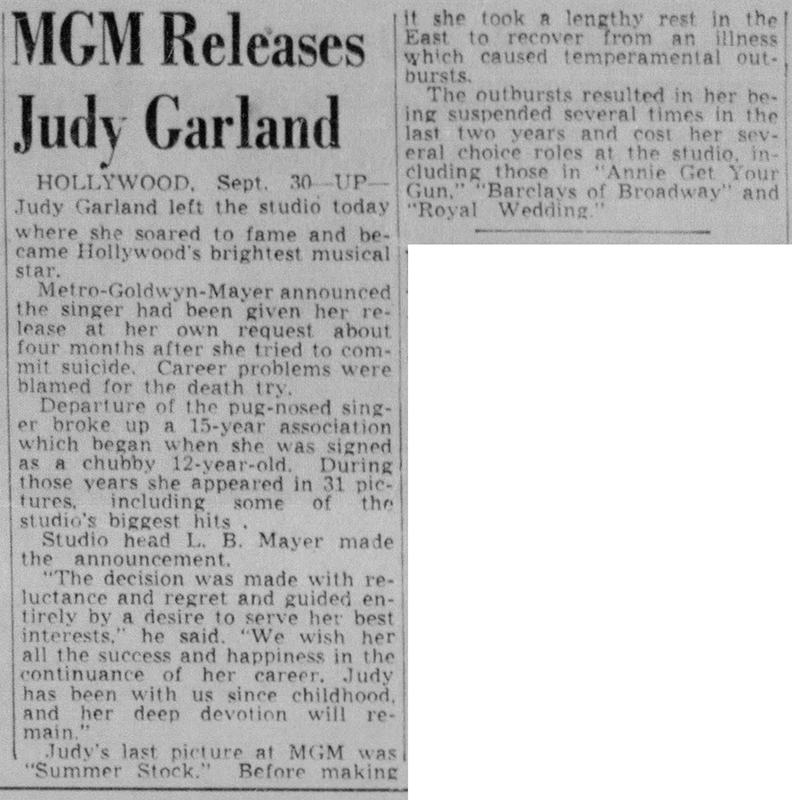 October 1, 1950: The news of Judy’s parting ways with MGM hit the papers. 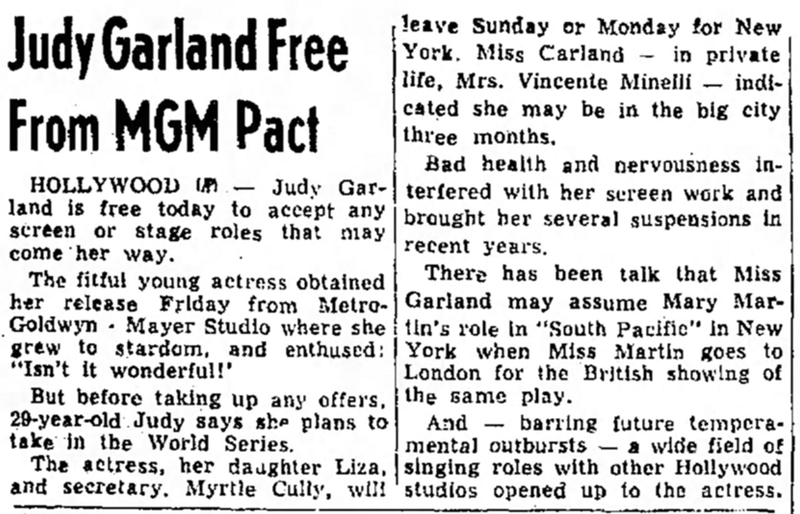 The official story was that the split was mutual and that Judy had asked for and received a release from her contract. 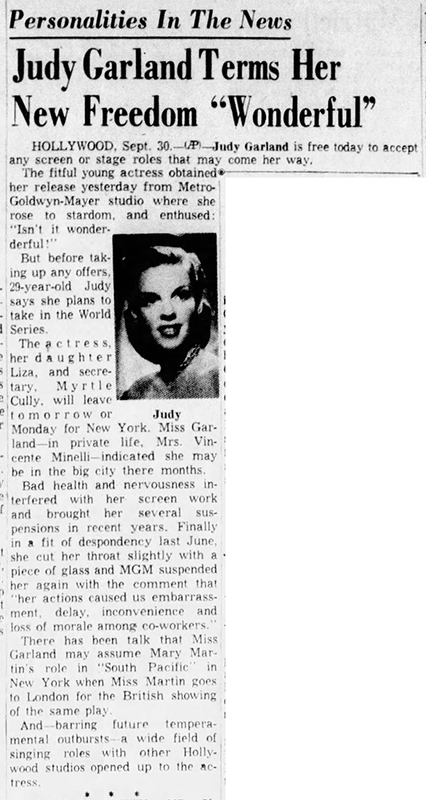 The story that Judy was fired by MGM has persisted for decades. The exact truth of what really happened behind the scenes will probably never be known. 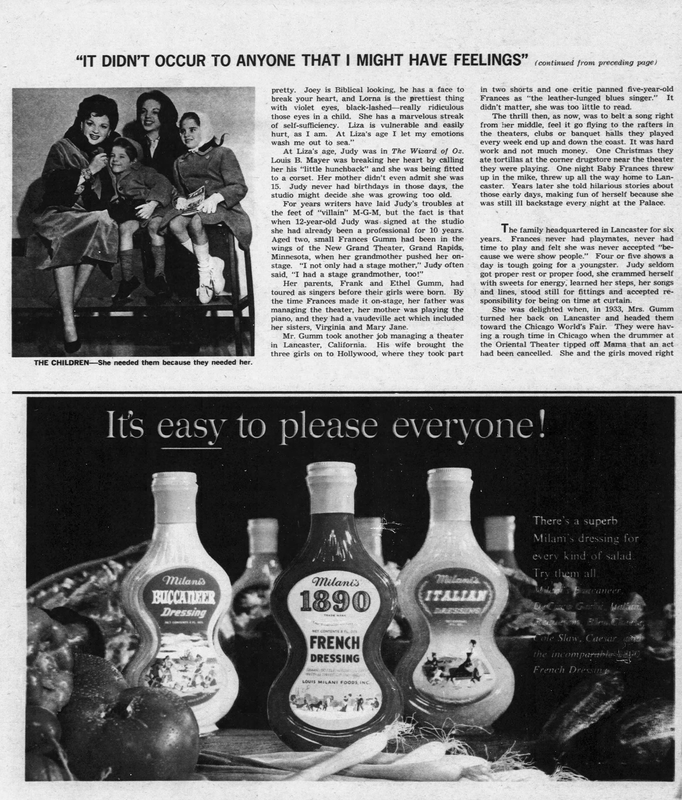 October 1, 1955: James Devane’s syndicated column included letters written to him by readers. Judy’s recent TV debut sparked some discussion on the merits of the show. It reads a lot like a discussion on a Facebook wall, doesn’t it? 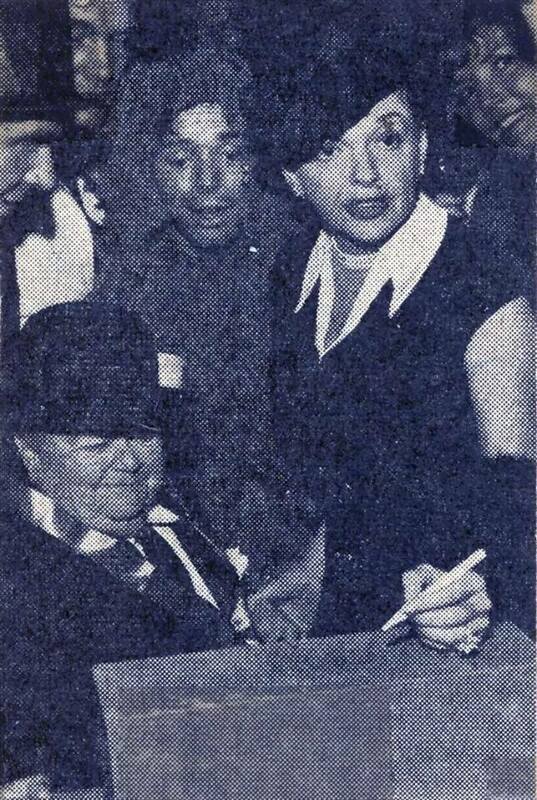 October 1, 1956: Louella Parsons’ column featured a story about her phone call with Judy – and 10-year-old Liza. 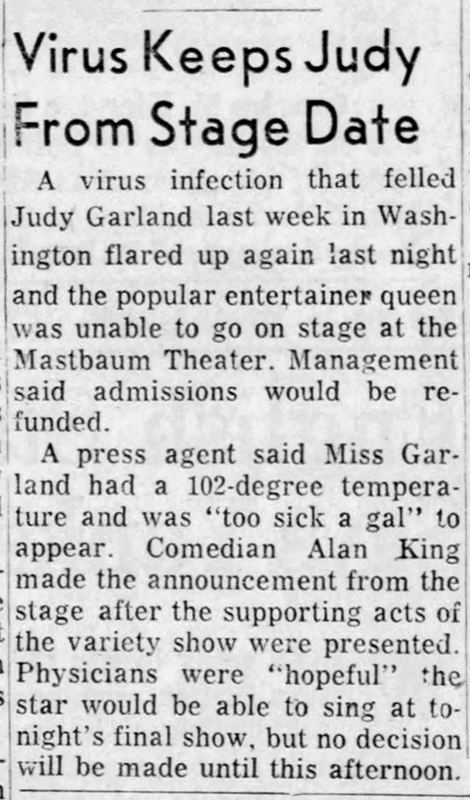 October 1, 1957: Judy had twisted her ankle so she did her show at the Mastbaum Theatre in Philadelphia, Pennsylvania, sitting down. She strained her voice as well due to a relapse of the flu. The final two shows of this week-long engagement (the matinee and evening show scheduled for the next day, October 2nd), were canceled. Photo: Lauren Bacall and photographer Jack Entratter visit Judy backstage after her October 12th show. 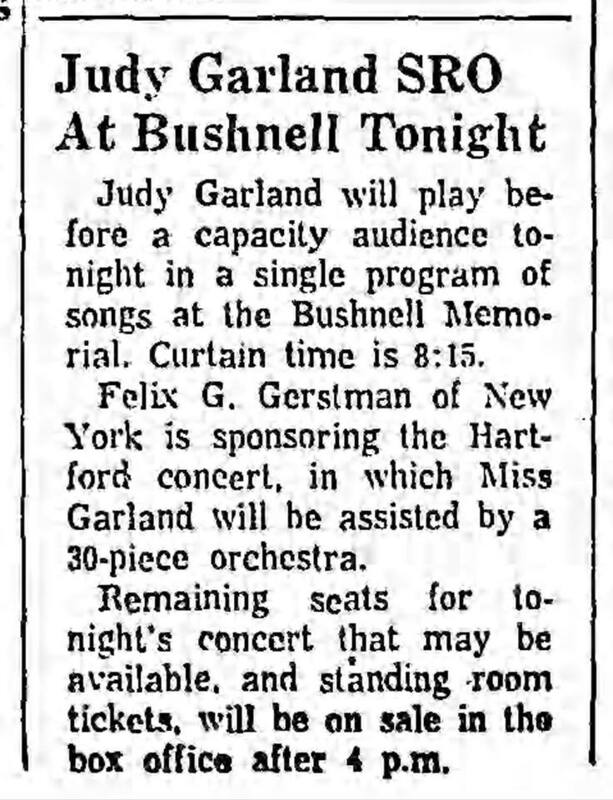 October 1, 1961: Judy brought her “Carnegie Hall” show (as I like to call it) to the Bushnell Auditorium in Hartford, Connecticut. No recordings were made, that we know of. Liza attended the show. 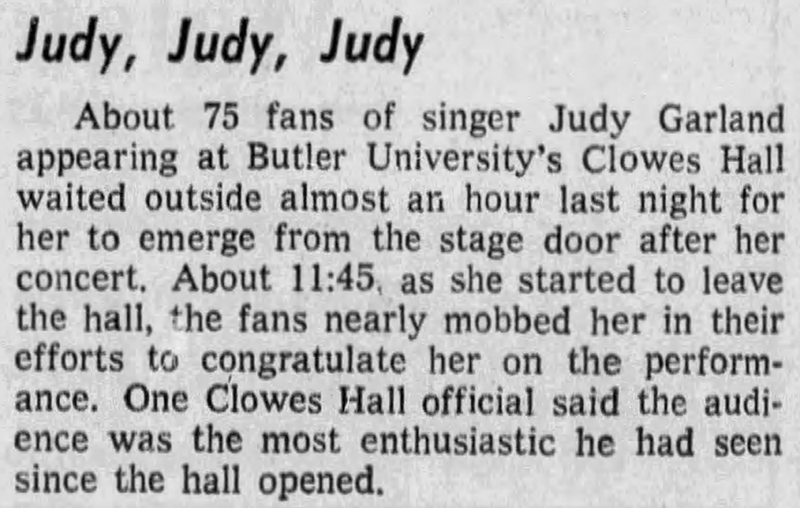 Judy returned to the Bushnell on October 20, 1967. 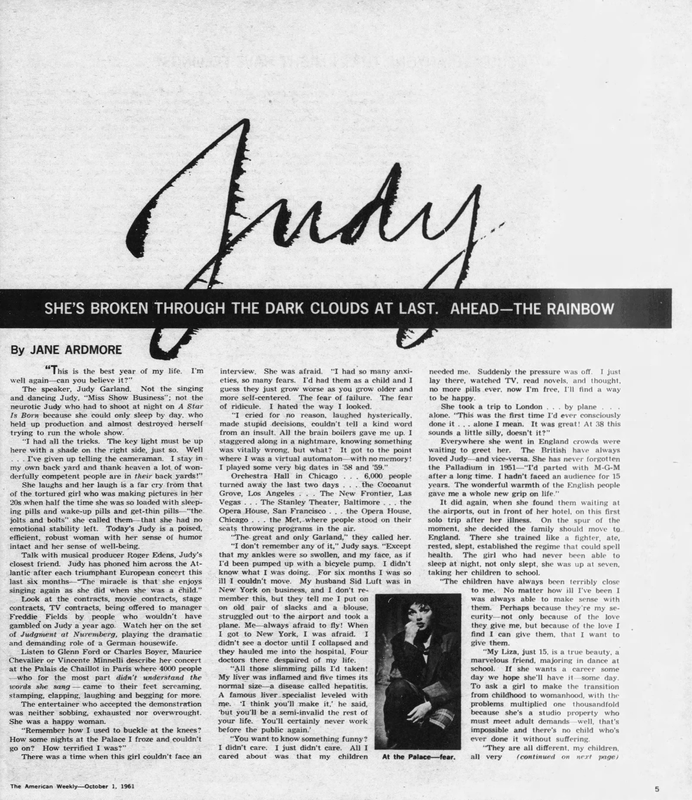 October 1, 1961: The syndicated weekly Sunday newspaper insert, “American Weekly” featured this in-depth article about Judy written by Jane Ardmore. The insert appeared in papers around the US. 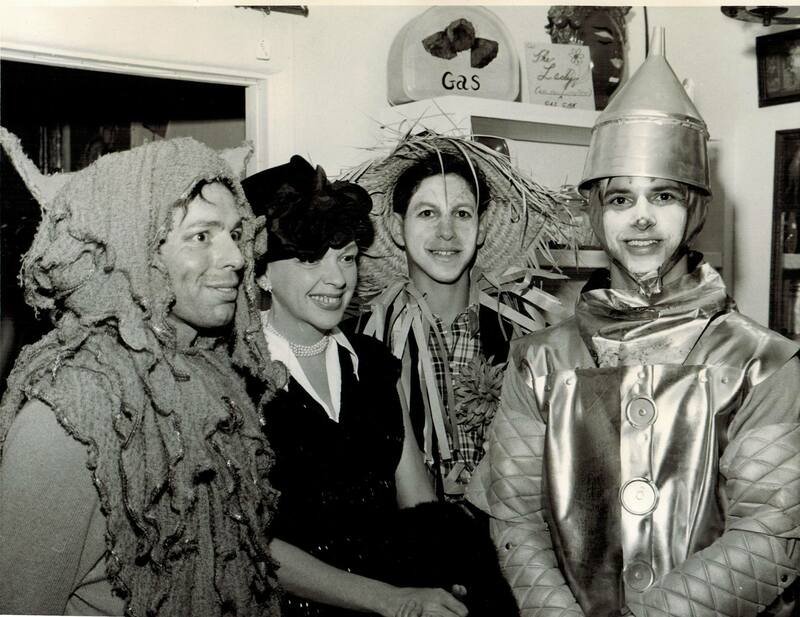 October 1, 1966: Judy officiated the opening of the “Yellow Brick Road,” an art gallery, outdoor cafe, and unusual gift shop located on La Cienega Blvd., in Los Angeles. Judy cut the ribbon while standing on a tiny bridge which was on top of a painted yellow brick road that covered the entire length of the play. Judy also autographed one of the yellow bricks. I wonder where that brick is now? Judy is seen here having fun at the opening with some Oz players. 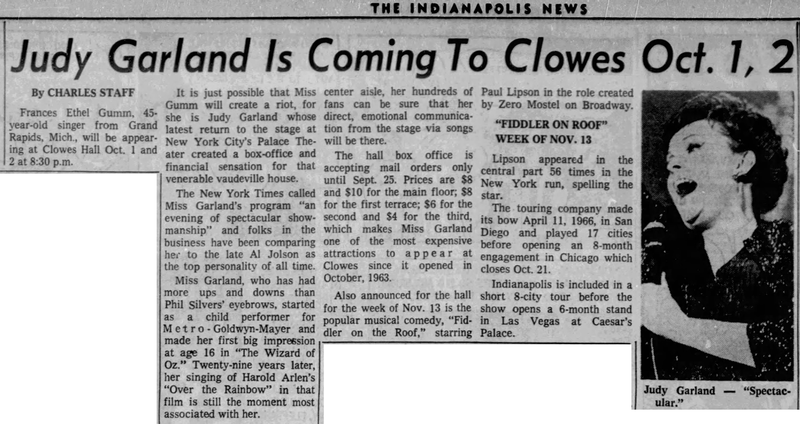 October 1, 1967: The first of a two-night engagement of Judy’s Palace show at the Clowes Hall in Indianapolis, Indiana. 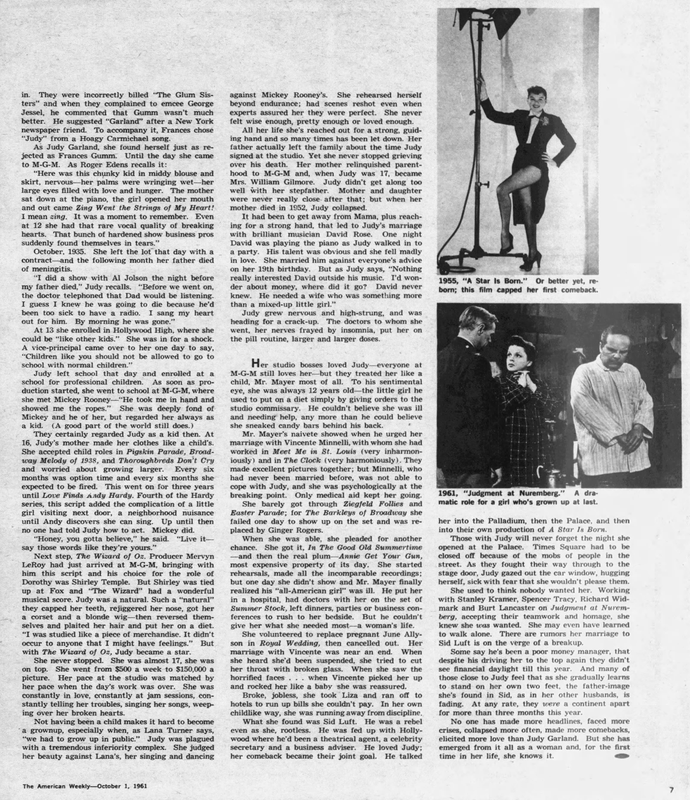 “Variety” reported that Judy grossed $33,940 against a possible $36,000, with attendance as a total of 4,050, out of a potential 4,400. 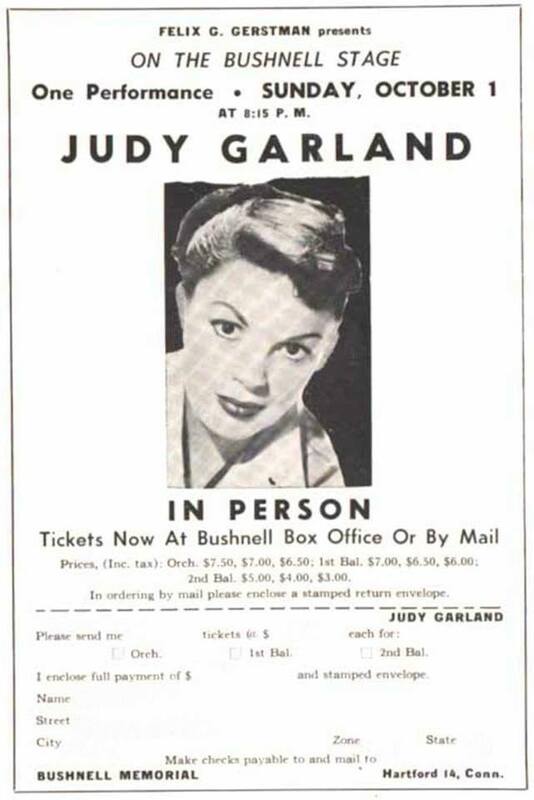 Ticket prices were at a maximum of $10, which was Judy’s standard top ticket price. 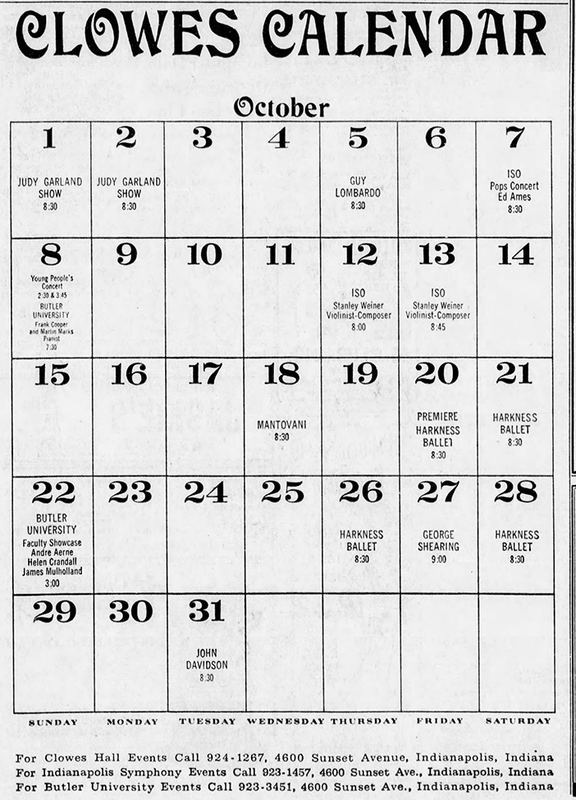 By early 1968 the top ticket price went up to $15. 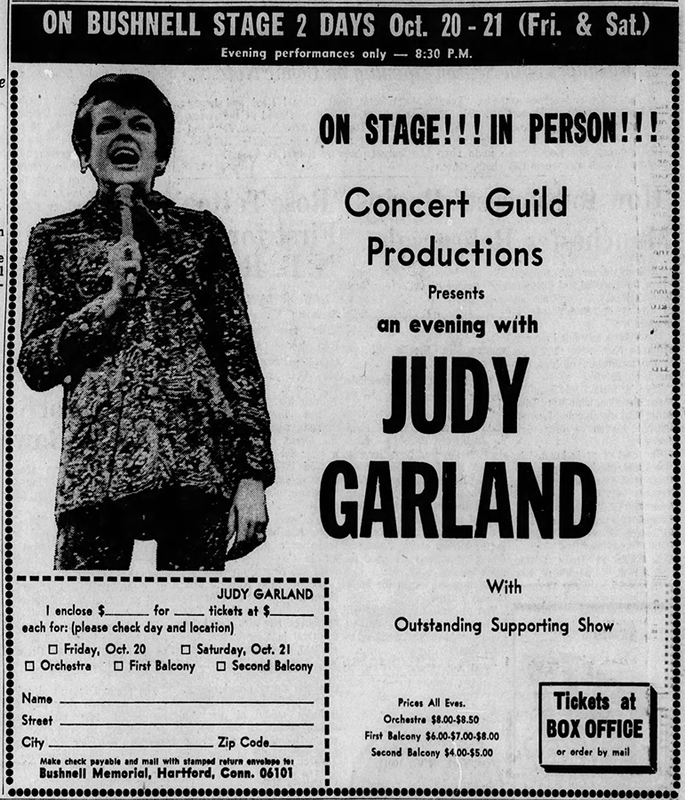 October 1, 1967: Here’s an ad for Judy’s upcoming return (October 20th) to the Bushnell Auditorium in Hartford, Connecticut. 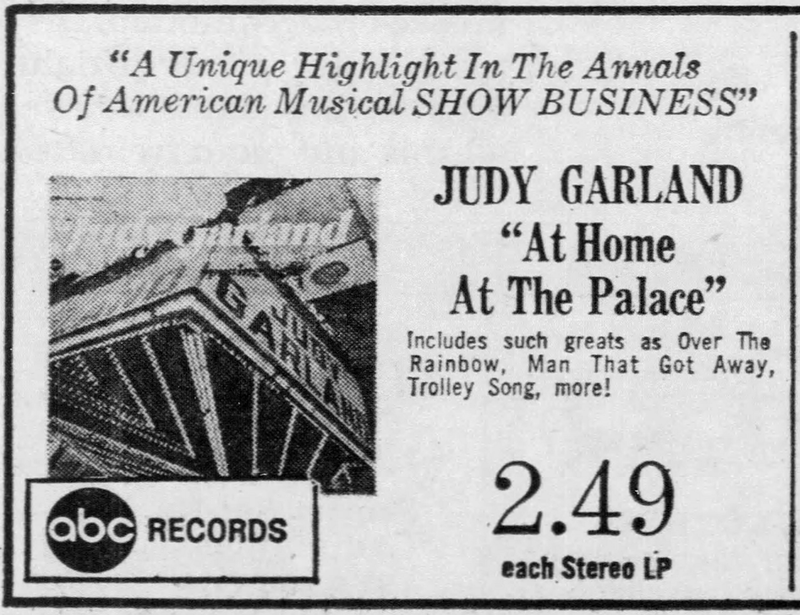 October 1, 1967: “Judy Garland – At Home At The Palace” received this nice review. 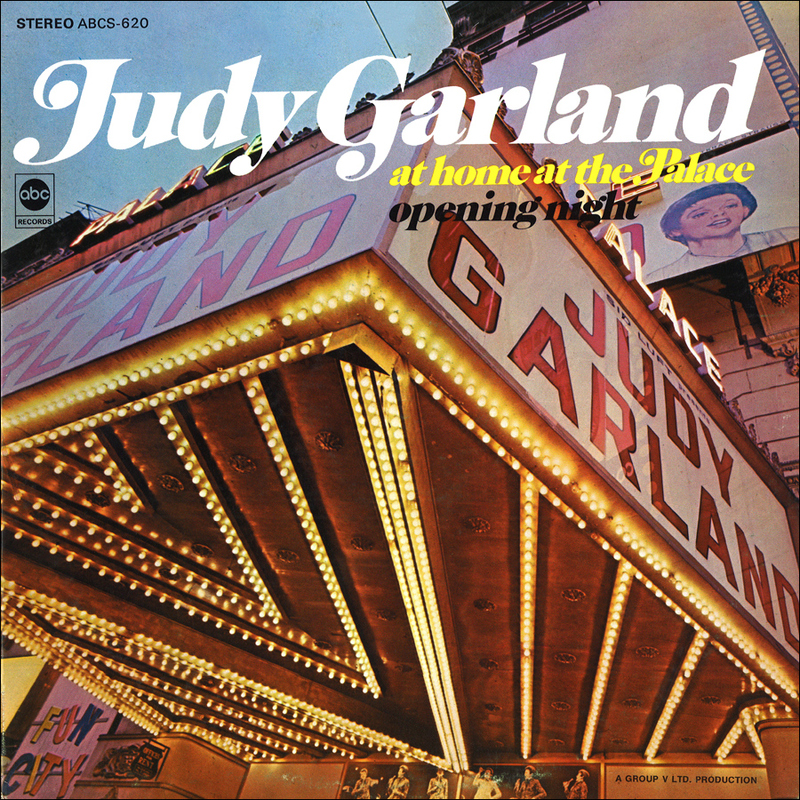 Check out The Judy Garland Online Discography’s “Judy Garland – At Home At The Palace” pages for details about the album and its subsequent releases. October 1, 2013: The new 75th anniversary boxed set of The Wizard of Oz was released by Warner Home Video. The anniversary wasn’t until 2014 but WHV was getting a head start. The new features of the set, aside from the collectibles, was the 3D version of the film that had just been released, to great success (the film made the top 10 box office hits for the weekend). This home video set included the newly remastered film in the 3D, Blu-ray, DVD, Ultra Violet, and digital download formats. The video above is just one of many that WHV released featuring clips from the film. 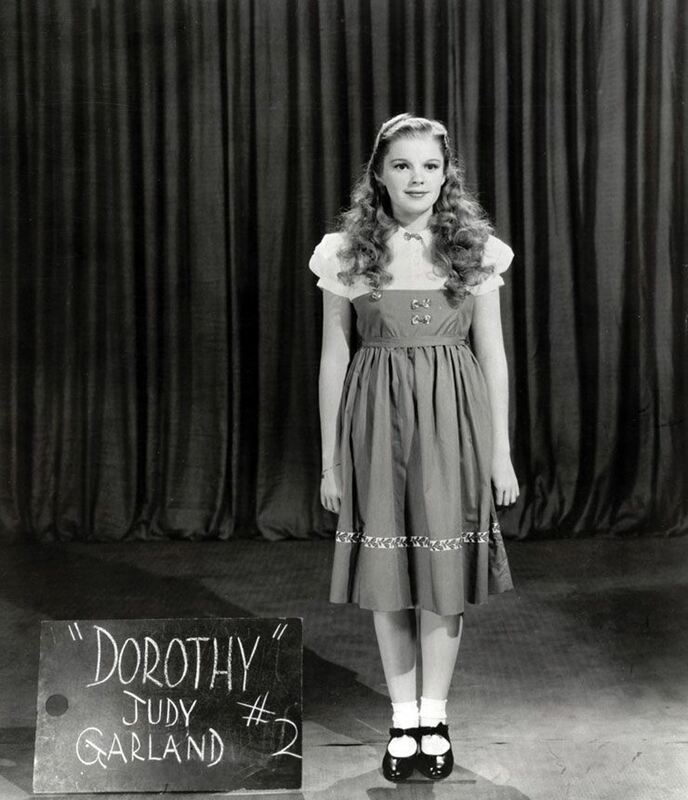 Learn more about the set at The Judy Room’s “Judy on DVD/Blu-ray” pages here. 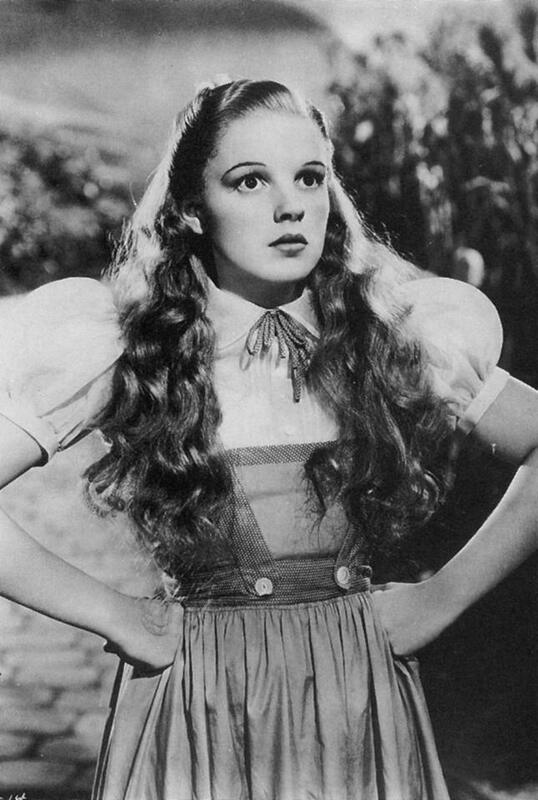 October 1, 2018: “The Road To Oz – The Evolution, Creation, and Legacy of a Motion Picture Masterpiece” written by the marvelous Jay Scarfone and William Stillman is released. Any book from Scarfone and Stillman is a welcome addition to everyone’s book libraries. “Words and Music” has always been one of my favorite Garland appearances. And if you recall, Gerold Frank mistakenly wrote that “Johnny One Note” was filmed first, and then Judy came back (after gaining weight!) to do the Rooney duet. Thus for years, I always thought Judy was “padded” around her waist to “look heavier”, and wore a belt AFTER the weight gain to streamline her figure to make her look THINNER. I bought Frank’s error because I don’t think Garland looks too thin in the Rooney duet (I think she looks much thinner in “Ziegfeld Follies”). Also, Judy’s face looks slim in both numbers. Side note: I have yet, to this day, to see even one still of “Johnny One Note.” Is it possible the second number was such a rush job, that they just settled for the Rooney/Garland stills?? Perhaps “Johnny One Note” stills haven’t survived. Bizarre. The Frank book error confused things for a while, that’s for sure! I think she looks good in both segments, although in the dialog scene that precedes “I Wish I Were In Love Again” she seems a bit manic to me. 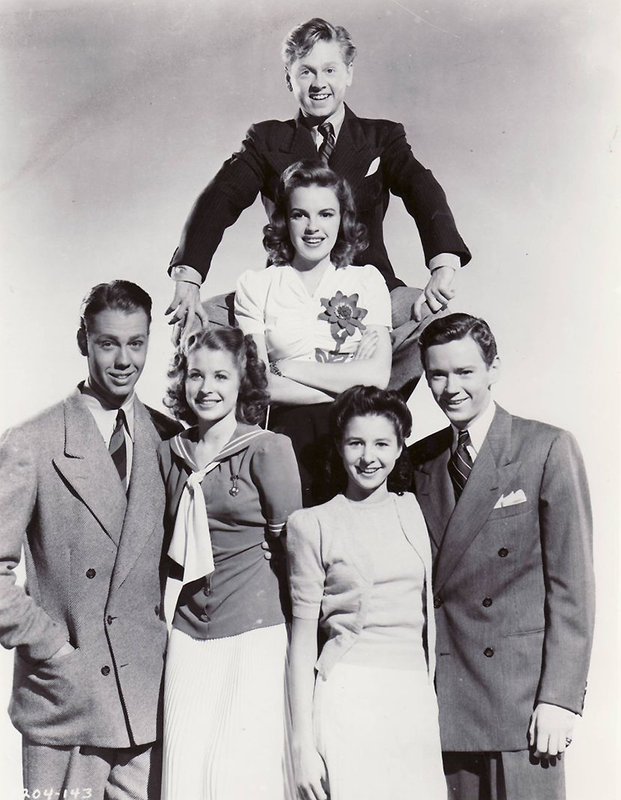 I have never, to this day, ever seen any official MGM still for “Johnny One Note.” It was indeed rushed. They filmed it the day after the pre-recording was made, which was unusual. My assumption is that there were no studio photographers available that day. It’s a shame. I’m sure they could have gotten some great shots! I have always been fascinated by the missing belt when she sings “Johnny One Note.” Well, we know that there were two different dresses that looked alike, but there were two. Obviously, with her weight gain, she looked more sturdy, but many fans might not even notice the difference in her appearance in the whole sequence.